And Shilo continues, by his life's experience, to remind us all why horse rescue is a noble cause indeed. 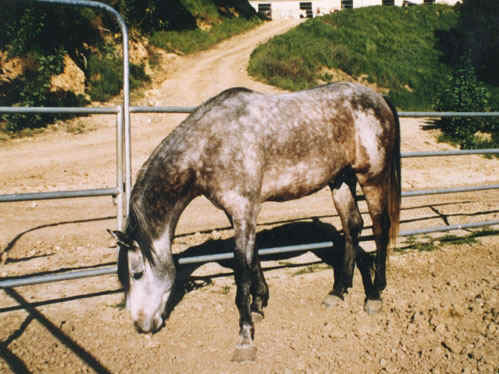 Shilo, a young dapple-grey Arabian gelding, was purchased from a Mexico dealer by a well-known horse trader in southern California, and was destined for a truck bound for a Texas slaughterhouse. 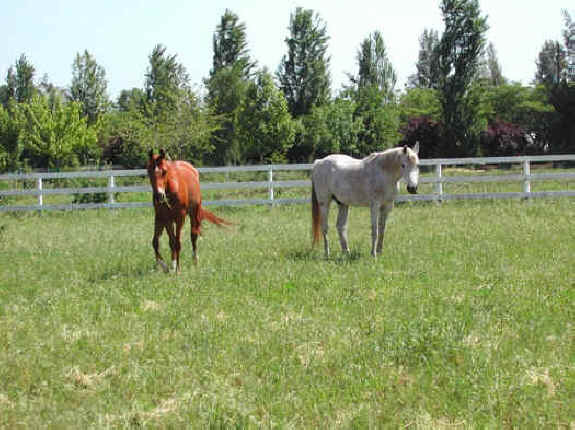 But The Animals Voice Horse Sanctuary founder Laura Moretti bought him for $850, making it more profitable for the horse trader to sell him to her. She named him Shilo, after the Neil Diamond song by the same title, about one's only dependable friend, and made him the promise she would always be his. 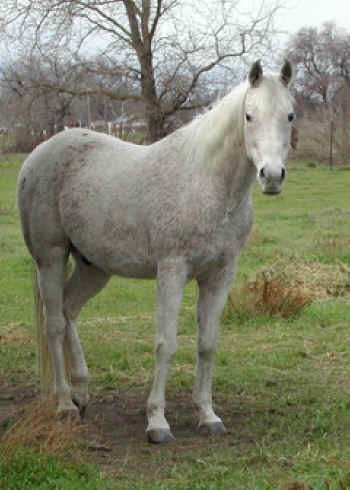 After years of winning his trust and a dedication to kindness training, Shilo became a First-Place First-Level Dressage horse and served as an Ambassador for other horses destined for slaughter; over the course of a few years, Shilo was directly responsible, by his flashy presence in the show ring, for the rescue of more than 60 equines from the same kill pen he'd been in himself. 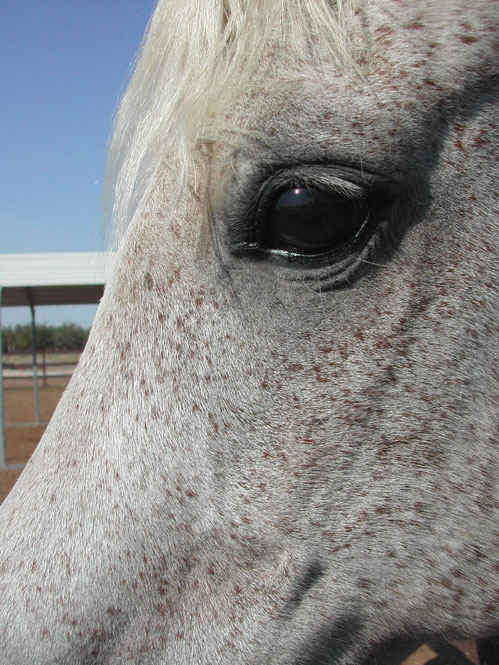 When onlookers learned of his story, they became determined to save a horse themselves. Over the years, both Mexican-style rodeos and horse slaughter have become illegal in California. Appearing on television himself, Shilo showed the voters just why it was wrong to turn equines into hamburger and to slam them onto their faces for the fun of it. His gentle soul reminded the human race of the beauty and grace of horses everywhere. Shilo was, of course, the first to step foot on the ground at The Animals Voice Horse Sanctuary. And he continues, by his life's experience, to remind us all why horse rescue is a noble cause indeed.